Our IT Marketing infographic shares IT expenditures in the United States, expenditures by category, marketing spend, an IT marketing checklist, and more. 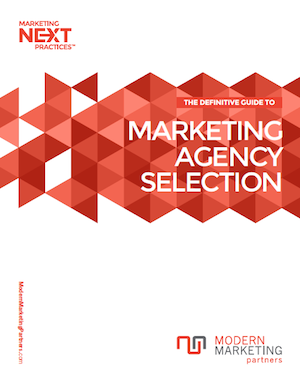 For further details, download the new whitepaper, IT Marketing: 10 Modern Best Practices. In our last blog post, we shared a checklist of the top 10 marketing best practices for IT marketing with detailed descriptions including: analysis and research, planning, brand image, brand awareness, website improvement and SEO, event marketing, thought leadership content, blogging, social media, and direct marketing. For more details, read Information Technology (IT) Marketing Best Practices. Sourcing or selection of IT related products or services has shifted. Studies show that up to 90% of technology products and professional services sourcing begin with or use a search engine. IT Sales and Marketing competition has intensified. Now IT firms face greater competition from local, regional, national, on-line and non-traditional competitors. Marketing has changed dramatically. The modern marketing mix focuses on search authority, thought leadership and lead generation, and importantly, is proving dramatic and measurable results. Marketing activities are often categorized as Inbound and Outbound. IT firms historically tend to spend less time, effort, resources and investment in marketing than other industries. But due to the reasons above, IT firms must make marketing a higher priority, or risk failure. To read the complete guide and access a printable PDF, link to our quick and easy registration form: IT Marketing Best Practices. Please comment, bookmark and share this post using the social tools below.